CANMORE & BANFF REAL ESTATE TEAM ~ GUIDING YOU HOME AND BEYOND! National parks, historic sites, and marine conservation areas represent the very best that Canada has to offer. They are the essence of our country because they tell stories of who we are, including the history, cultures and contributions of Indigenous peoples. 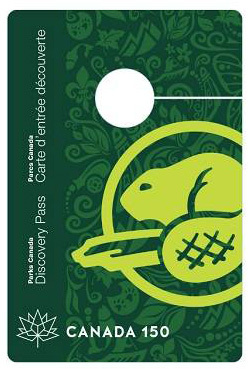 As we prepare to celebrate Canada 150 from coast to coast to coast, Parks Canada is thrilled that so many Canadians and people from around the world – over 500,000 in the past week – have already ordered their free Parks Canada 2017 Discovery Pass. Discovery passes will be available throughout the whole year. And as in the past, Discovery passes will also be available at Parks Canada places starting January 1, 2017, and through our partners. The Parks Canada team looks forward to welcoming Canadians and international visitors at national parks, historic sites, and marine conservation areas where they can experience Canada’s outdoors, fun for the whole family and memorable ways to get closer to Canada’s history in 2017. The 2017 Discovery Pass is the free ticket to 365 days of celebration at some of our country’s most amazing destinations. To make the most of this gift from Canada, visitors are encouraged to plan ahead and reserve their stay. Visitors should also consider discovering Parks Canada’s hidden gems or exploring Canada’s favourite national parks during winter, spring or fall. Please visit parkscanada.gc.ca for trip planning tools and tips. In managing national parks, Parks Canada is mandated to maintain or restore their ecological integrity, and provide Canadians with opportunities to discover and enjoy them. While the number of visitors may increase in some places in 2017, Parks Canada remains committed to maintaining its role as a world leader in conservation and in preserving the ecological integrity of these treasured places, now and for future generations. The same holds true for Parks Canada’s commitment to the commemorative integrity of our rich and diverse national historic sites. Canadians can also enter online for a chance to win amazing prizes, including a dream Parks Canada vacation to breathtaking Western Newfoundland. To learn more about planning your trip, please visit the Parks Canada website at parkscanada.gc.ca and follow us on Facebook, Twitter, and Instagram for great information about Parks Canada destinations. The Parks Canada campground reservation system launches in January. Visitors are encouraged to reserve early to ensure they have a space and find the perfect spot for their visit. Free admission includes admission to all national parks, historic sites, and marine conservation areas operated by Parks Canada (day use and front-country use), lockage at the canals administered by Parks Canada on historic waterways, and backcountry day use. Fees for recreational services and goods such as camping and firewood, enhanced interpretation programs or overnight backcountry use will remain in place as will mooring fees for boats. Parks Canada manages a network of 46 national parks, 171 national historic sites, four national marine conservation areas, one national urban park and eight historic canals that make up the rich tapestry of Canada’s cultural and natural heritage. Missed a post? Look here! Copyright 2016 - 2017 Team Canmore Real Estate. Simple theme. Powered by Blogger.